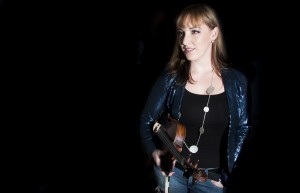 ​Cape Breton fiddler Gillian Boucher’s debut album Elemental, recorded by CBC Radio-Canada, received high acclaim and put her individual stamp on the world of Celtic music, seamlessly blending the music of her ancestors with eclectic sounds reflective of years of global adventure. 2013 saw the release of Gillian’s highly anticipated second album, Attuned; a step away from the more contemporary attributes of her first recording displays the deep connection Gillian has with her Gaelic heritage and also her individualistic style, skill and command over her music. Demonstrating her diversity as a traditional artist, Attuned has received a 2014 Music Nova Scotia Award Nomination for Folk/Roots Recording of the Year as well a prestigious 2014 Canadian Folk Music Award Nomination for Instrumental Recording of the Year and a 2015 East Coast Music Award Nomination for Traditional Instrumental Recording of the Year. Originally from Broad Cove, Cape Breton Island, Nova Scotia, Gillian was born into a family steeped in traditional music and language, her grandfather Lauchie Dan N. MacLellan having been a well known Gaelic singer and songwriter from Dunvegan, Nova Scotia. While living in the UK (Edinburgh) and Ireland (Co. Cork), Gillian founded the all-girl band Maysha and was a featured performer on Scotland’s Television Programme ‘Tacsi’. Gillian also gives interactive online violin lessons on her website. Gillian will be joined by special guest Mary Jane Lamond and dancers Sheena & Tessa Boucher as well as Jenna & Tara Wilcox.